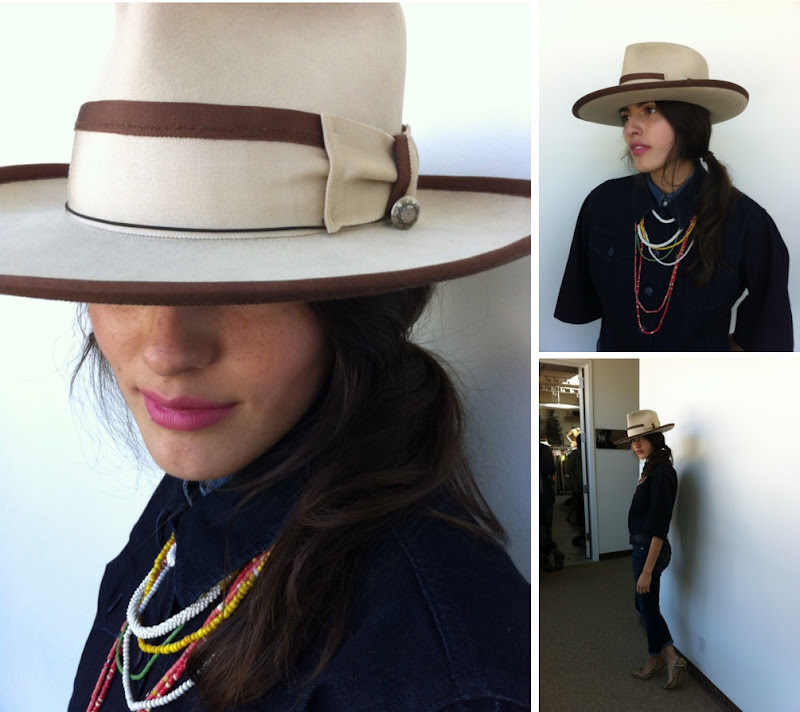 My friend Amy is up in San Francisco working on Levi’s® Fall 2013 campaign. She snapped a few behind the scenes photos that she knew I'd like. Do I like!? I love! I'm going crazy for this outfit. And, of course the hat is from our favorite hatters out of Venice, Westbrook Maker. No, it's just tucked behind her back. Love the necklaces so much! And the rolled up jeans/heels combo is always one of my favourites. Love! Especially the double-denim shirt action she's got going on, with those beads layered over the top. Excellent styling! love love love...inspired by marina muñoz, no?